This 3-Stage Water Filter by PureEasy is just fantastic! It is just the best at sediment-removal, and it removes bacteria, fungus, algae, sediment, rust, chemicals and heavy metals from your water without removing the valuable dietary calcium and other healthy minerals! PureEasy filter systems are completely BPA free and made with food-grade AS and ABS plastics. The sticker on the front of the housing is easily removable, making it a neutral color to go with any decor. Each countertop water system comes with its own faucet diverter and spout. The spout can be interchanged with a 1/4" quick-connect fitting and used as the perfect water ionizer prefilter. If you want us to remove the spout and set it up as a prefilter system for you, just let us know in the comment section of the order form. You can install it under the sink or on the counter. 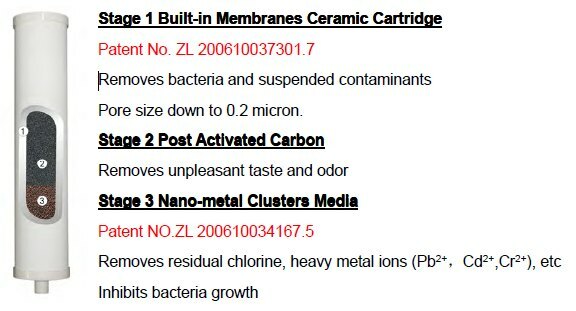 It can be used independently or as a prefilter to your water ionizer. The stickers on the front of PureEasy filters are removable. The replacement filter for this is called CM05a. 1) Remove the product from the box. 2) Carefully remove the pieces from the base: spout, housings and the wrapped filters from inside the housings and set all in a safe place. 3) Leave the hose intact and just disconnect it from the faucet diverter. Save the diverter. 4) Unscrew the spout fitting from the base and set it aside. 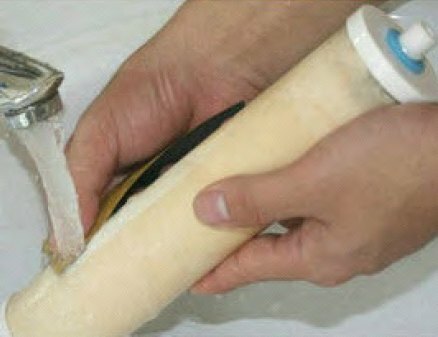 5) Using plumber’s tape, wrap the tape around the threads of one of the fittings about 6 times around. Smooth out any rough edges. Screw the fitting into the base [where the spout fitting was removed]. 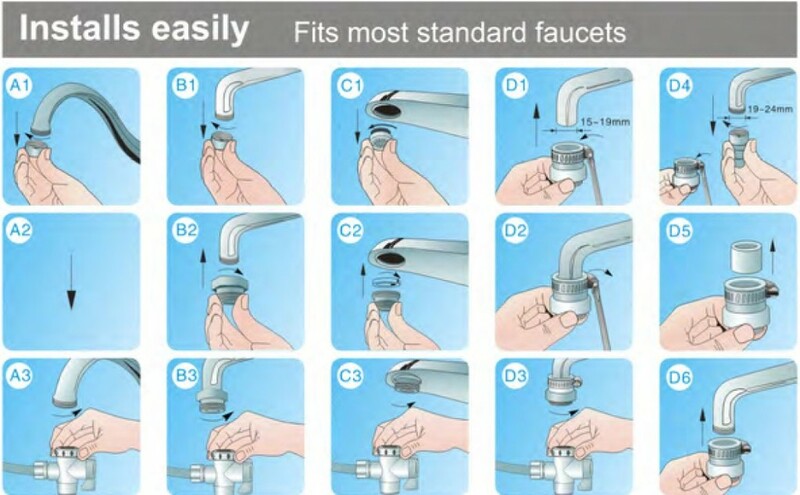 6) Push the loose hosing into the quick-connect fitting that you just screw into the base. 7) You are now ready to hook the two ends of hosing into the filter faucet and Tee which you will need to purchase separately [locally]. * You will need a Tee to insert your ¼ inch hosing into the cold water line [between your cold water shut off and your faucet feed line.] Here's a link to our Tee, which we have found to be the best and easiest one to use.